This is not the first time a Tesla model has fallen out of favor with CR. 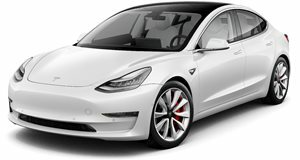 The Model 3 is the car that is meant to move Tesla from fringe luxury manufacturer to mainstream competitor and by-and-large it is getting the job done. But the stratospheric growth required to achieve this has stretched the company to its limits and at times the quality of the highly popular Model 3 has faltered. Due to reliability concerns, Consumer Reports is no longer recommending the Tesla Model 3. This is not the first time that CR has lowered its rating for Tesla vehicles but each time most of the issues were taken care of by over-the-air-updates in typically prompt Tesla fashion. For example, CR had previously criticized the Model 3 for its poor braking performance and it was quickly resolved by just such an OTA fix, but the problems it cites now more than just skin deep. The issues range from poor paint and trim quality to glass defects and faults with the infotainment display. CR themselves had a problem with the Model 3 they purchased for testing when its rear window developed a crack. Quick reactions to such issues are vital in keeping the momentum going at Tesla, especially with so many EVs about to be launched in the coming months. Shares were down four percent this week after the CR news was announced, which means the stock is now down twelve percent since the beginning of the year.